The Future is Near and Next Charge is Here!! 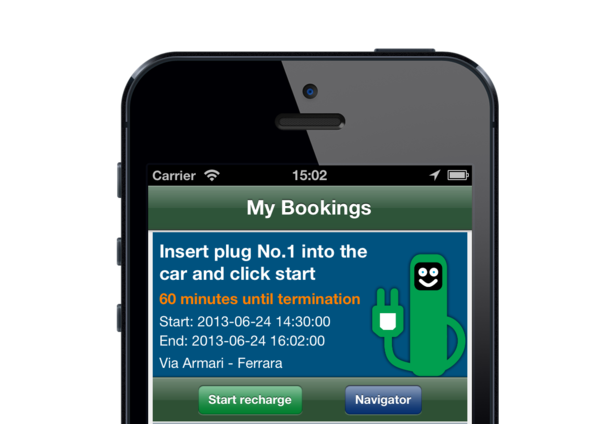 Next Charge is a free application, devoted to making the life of electric car users simple, fast and convenient. Next Charge allows users to find electric charging stations within seconds and enables viewing of the charging stations closest to your current location. 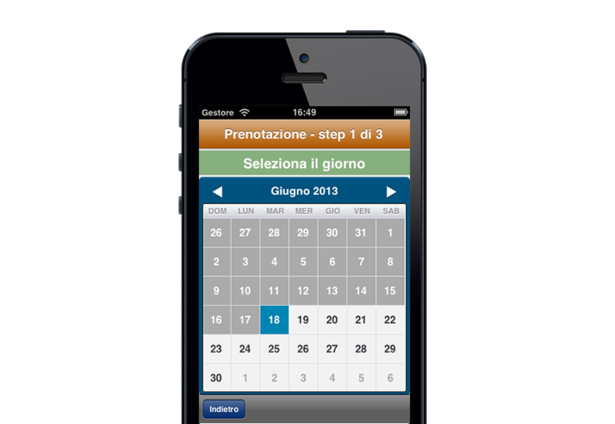 You may also customize your search with a specified future location. The integrated navigation system allows you to choose the best route suited to your needs and ensures fast dependability. So what makes Next Charge different from some of the other apps you may have seen or tried? Well, the creators of Next Charge are devoted to the future of electric cars and believe a huge step in success is making the understanding and management of energy easy, accessible and convenient (no matter where you may stay). Your mobile app now allows you to make a reservation with an activation (card free) feature, including up to date availability, and navigation to your chosen station no matter which station provider you want to select. The station you book can now be "activated" at the touch of a button; using your hand held device, iPhone or iPad. The improved app frees the user of swiping cards, paying at time of charge and provides a safe and secure reservation system. 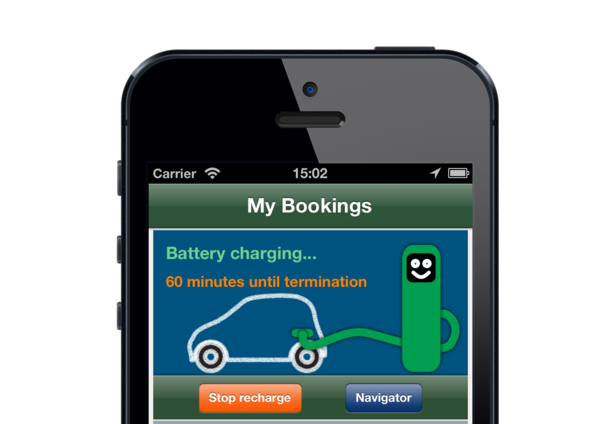 Using the app enables you to make a booking for your next charge in a few easy steps. No login, passwords or personal information required. The app is swift and easy with more than 30,000 charger locations around the world. *The use of the "Next Charge Program" featuring system activation and reservation is subjected to the installation of our available hardware or through use of our virtual testing station. 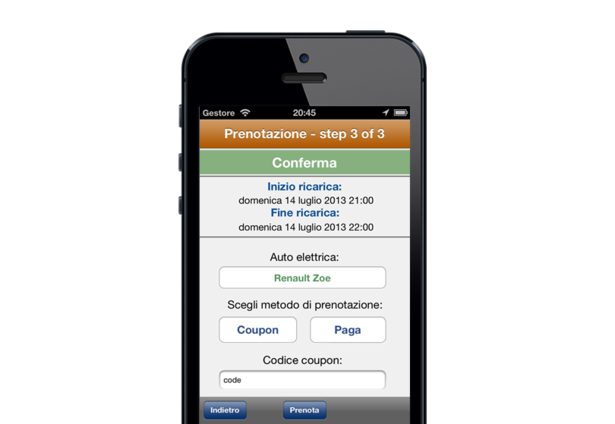 Il programma Next Charge e il nuovo sistema unico al mondo di prenotazione e attivazione delle stazioni elettriche tramite app per tutti i gestori di colonnine elettriche. 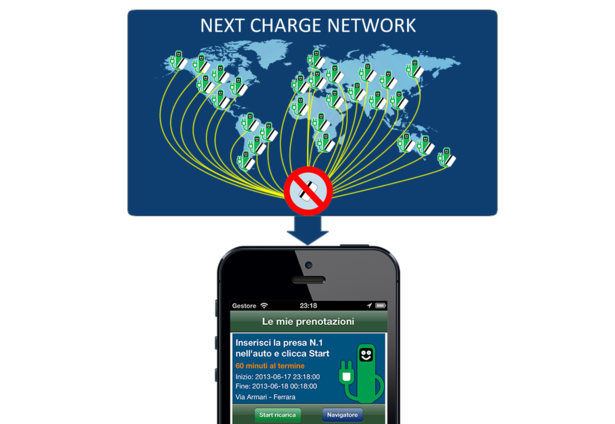 Next Charge permette di prenotare e attivare tramite semplici pulsanti le stazioni di ricarica, usando dispositivi come iPhone, iPad e prossimamente Android. L’applicazione libera l’utente da tessere di riconoscimento, pagando al momento della ricarica e offrendo un sistema di prenotazione sicuro e protetto, tutto in pochi semplici passi. L’ambizione di questo sistema è quella di ottenere l’approvazione di tutti i provider di colonnine elettriche, al fine di non vincolare chi possiede un auto elettrica alle numerose carte di riconoscimento fornite dai gestori su tutto il territorio. Comments for this submission are closed. 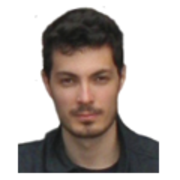 View the software in FrancescoB1's portfolio to continue the conversation.